Balmy summer evenings, laughing children, lively conversation, porch-lit backyards, and the rich, sweet smell of barbecue smoke. All of this means one thing to Cape Codders: summer has returned and so has the barbecue season. When you choose Breakaway, it’s clear this love of barbecue and outdoor cooking is evident in everything that we do! 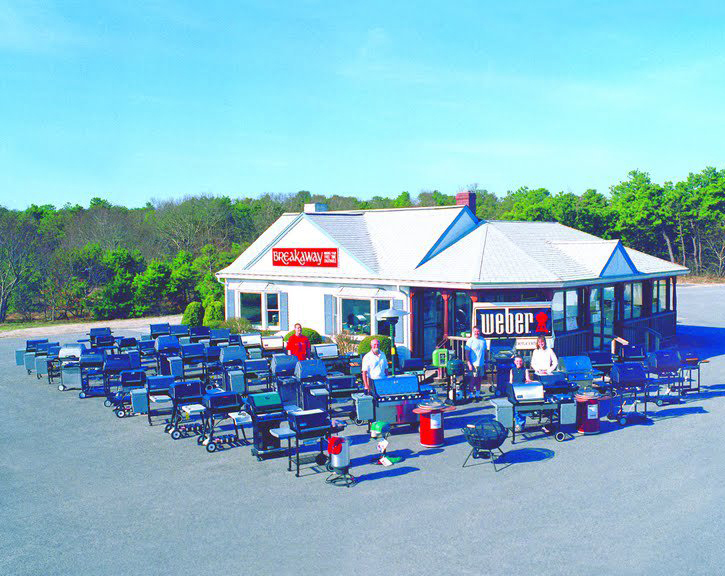 Serving the Cape for more than 30 years, Breakaway was the brainchild of Ken Foster, a long-time barbecue aficionado with a desire to revolutionize the outdoor cooking experience. In an effort to provide customers with the ideal barbecue product for every taste and budget, Ken took care in deciding which manufacturers to feature. He wanted the stores to be small and personal while effectively showcasing a great selection of products. Along with an unparalleled selection of grills in every price and style, Breakaway offers a full line of barbecue accessories like sturdy vinyl covers, rotisseries, cookers, and pots, and sweetly scented smoking chips. We also offer various fire pits, patio heaters, and more to add an extra element to your outdoor entertaining space. Ken has assembled a team of highly trained “grillologists” to ensure Breakaway’s service is truly top notch. Breakaway is a division of Hall Oil, which has been operating in the Cape Cod area since 1918. With almost 100 years in business, we have the longevity and experience to handle all your outdoor cooking needs. At Breakaway, we offer a hands-on approach to customer care. Our goal is to turn every customer into a repeat customer. Shop our product selection online, or call today to special-order a grill or cooking accessory. We look forward to exceeding your expectations.